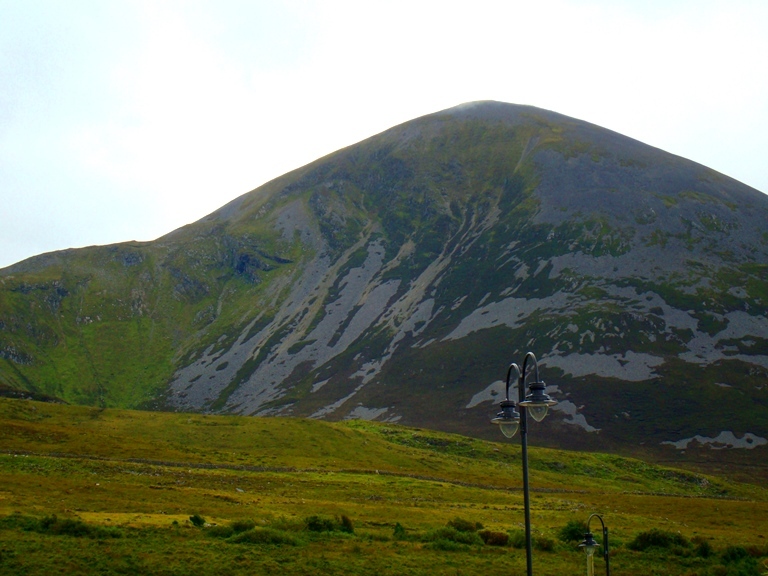 Just outside Westport, Co. Mayo, sits Croagh Patrick at 765m (2,507ft). 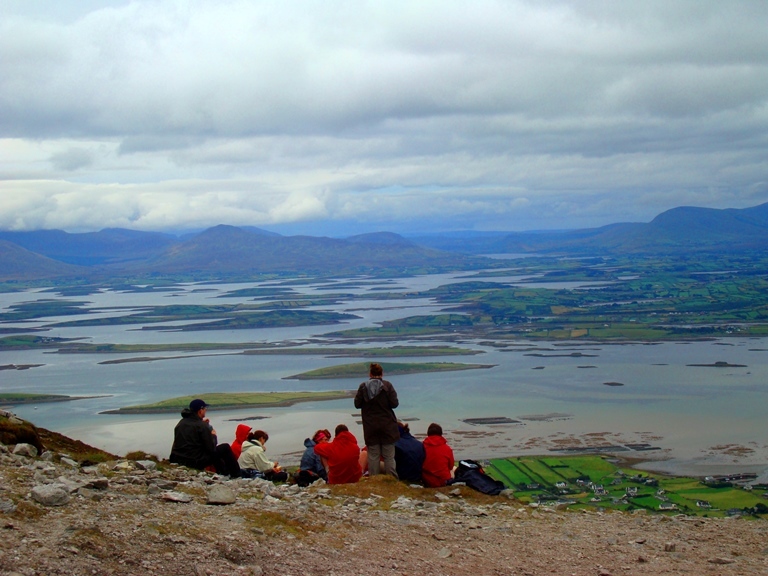 Famed for being the spot where St. Patrick banished all the snakes from Ireland and fasted for 40 days and nights. A little church still stands on the top today. 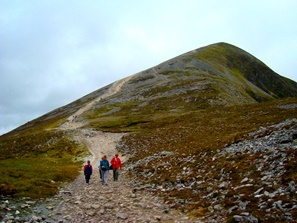 Croagh Patrick is a challenging and rewarding climb. It holds stunning views in all directions. 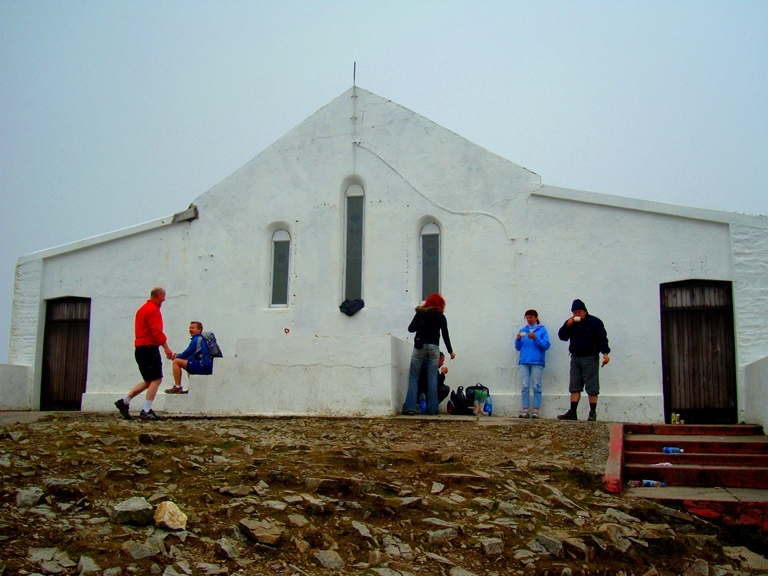 Many Pilgrims from all over Ireland and the world come to climb each year and stand in awe of Clew bay and the surrounding Irish coast line. 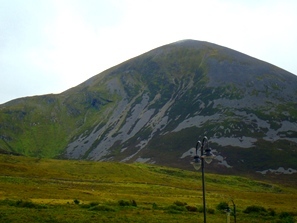 Croagh Patrick rises high from sea level to 2,507 ft. Terrain is mixed rock and dirt, slippy, steep and rocky. 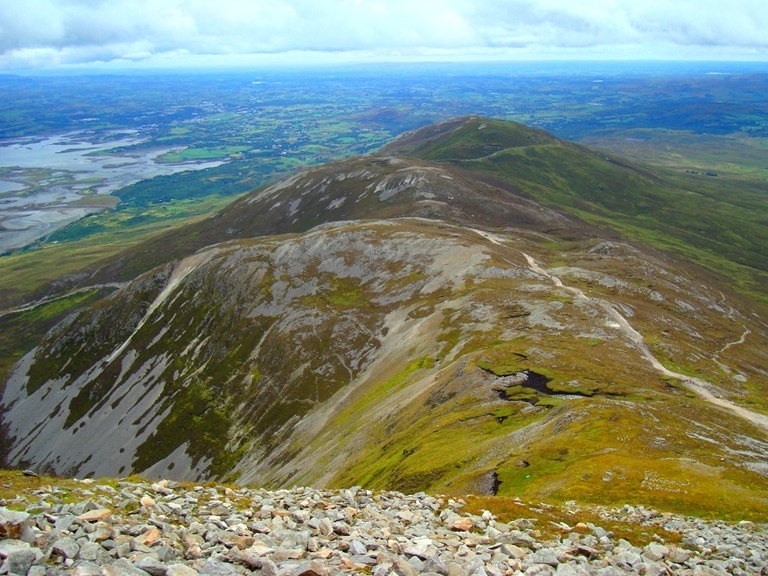 You need proper hiking boots, equipment and take your time on this long beautiful walk up Ireland’s holy mountain. 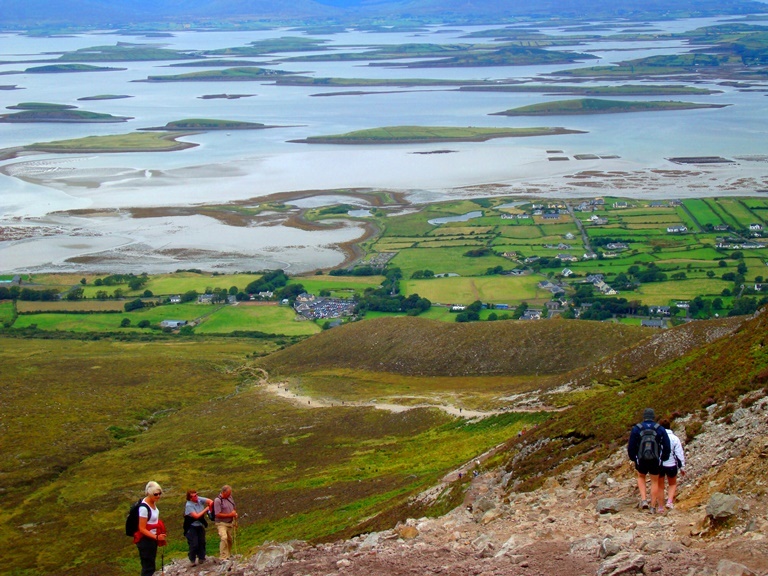 This is nice day trip with stunning views; Croagh Patrick is part of our adventure week tour in the west of Ireland where we travel this stunning coast line south and finish on Ireland’s highest mountain Carrauntoohill. 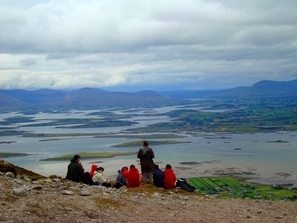 We also accommodate day tours if booked in advance. 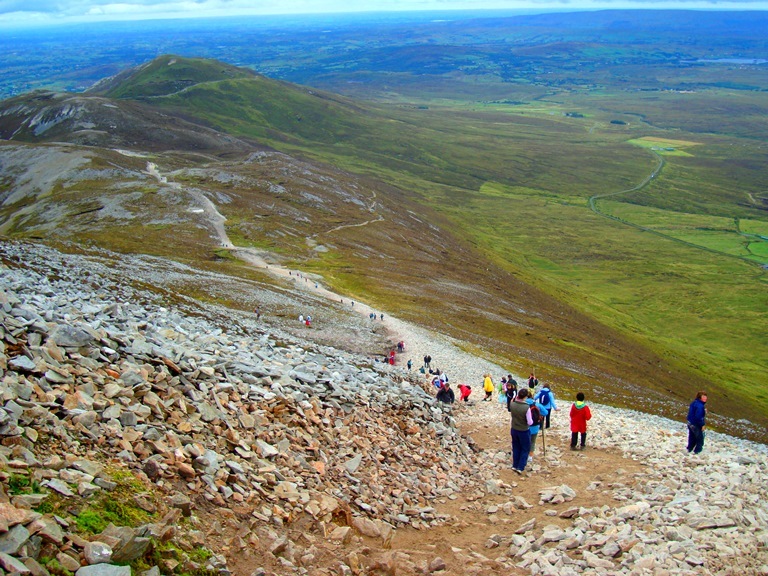 This is a beautiful but steep ascent, once you come out of the car park and past the statue you move onto mixed terrain of rock. The first few hundred meters are gradual before we hit the long stretch on small loose rock. 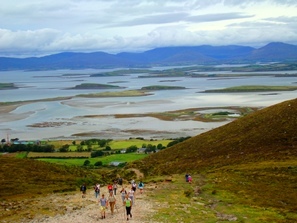 Once we come to the saddle there are great views in all directions. 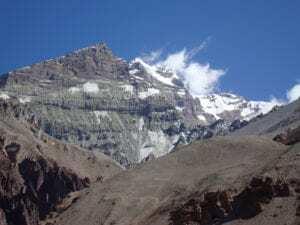 On your right and turning more to the west now, is the last steep section of loose rock, it is a strenuous ascent and important to go slowly over and take your time especially on the way down. 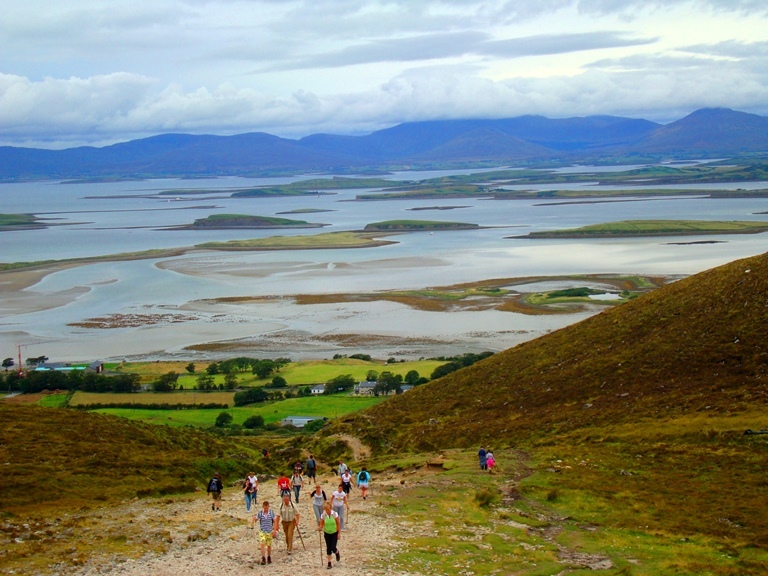 The final section is tough on the calves before coming on this special summit, with the church in front and the beautiful Clew Bay with hundreds of Islands and stunning scenery. 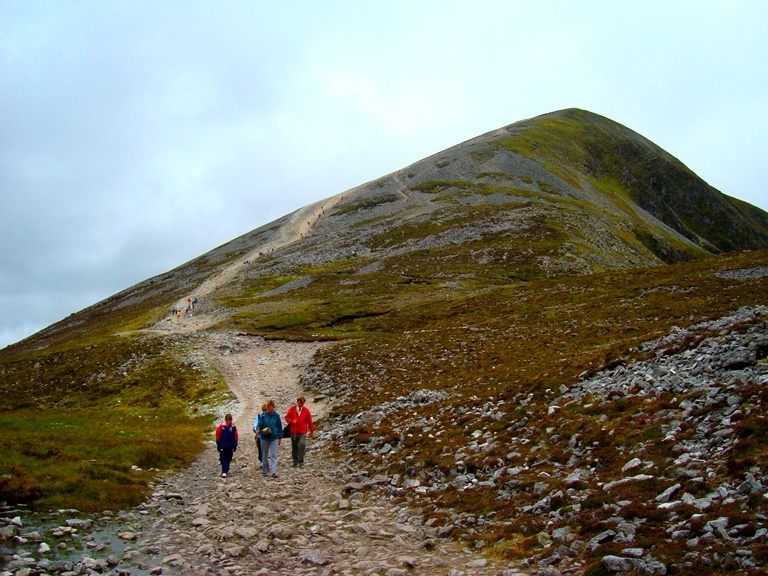 Does this information excite you to take and Climb Croagh Patrick? If so, get in touch today. We pride ourselves on making sure that our clients have every opportunity to succeed on the mountains, including professional training advice, gear lists and video links on how to pack your bag, and much more. We are always available to answer any questions you may have by email, phone or skype, so contact us today!